Google has been exploring video game initiatives for most of the decade. In 2014, the company was reportedly poised to acquire Twitch before Amazon swooped in. Rumors percolated for years that Google was also attempting to launch an Android-based console, similar to Amazon’s Fire TV, but that didn’t happen. In 2016, the Google-incubated studio Niantic scored one of the biggest gaming successes of the last decade with Pokémon Go, but it had spun out into an independent company the year before. And Google has a long history of hiring game developers for projects that never quite materialize. So what is this streaming platform, exactly? Like Nvidia’s GeForce Now, the Google service would offload the work of rendering graphics to beefy computers elsewhere, allowing even the cheapest PCs to play high-end games. The biggest advantage of streaming, as opposed to physical discs or downloads, is that it removes hardware barriers for games. Games like Call of Duty can reach a significantly bigger audience if players don’t need an expensive graphics card or console to play them. As one person familiar with Yeti described it: Imagine playing The Witcher 3 within a tab on Google Chrome. Sounds too good to be true, doesn’t it? Or sounds too much like the promise of other streaming platforms like OnLive, which failed because of lag and video compression that reduced quality? Many of the rumors we’ve heard need to be presented with some skepticism until we actually see them in action. One pie-in-the-sky idea I’ve heard floated, for example, is heavy integration between Yeti and the Google-owned YouTube. Imagine you’re playing a game and you run into a tricky boss or don’t know how to solve a puzzle. Instead of opening up your laptop or checking your phone for a guide, you could press a button to activate an overlay on your screen that cues up a YouTube walkthrough of the game you’re playing. Whispers have been quieter about Google’s hardware, whatever that may look like, but the rumors we’ve heard suggest that it will link up with the streaming service in some way. We’re not sure whether Google is looking to compete with the technical specs of the next PlayStation and Xbox or whether this Google console will be cheaper and low-end, relying on the streaming service to pull weight. Nvidia’s Geforce Now, which entered beta earlier this year, allows users to stream a selection of high-end games to PCs and Macs. Those are the rumors currently floating around in games industry circles, where people are growing more excited about streaming every week. At E3 we saw both Microsoft and EA announce their own separate initiatives for streaming, and Ubisoft boss Yves Guillemot made headlines a week earlier by declaring that game streaming was the future. Xbox boss Phil Spencer recently told Kotaku contributor Keza MacDonald (for The Guardian) that he thinks streaming will tear down the borders between gaming platforms. “Our focus is on bringing console quality games that you see on TV or PC to any device,” he said. Still, some developers we’ve spoken to who have heard about the project are skeptical. Google’s history of starting and abandoning initiatives is a red flag, as is the lack of proper internet infrastructure across much of rural America. If Google were to launch dedicated hardware, what games would it launch with? What would entice developers to port to the platform? Video game history is littered with consoles that have attempted to take on Nintendo, Sony, and Microsoft only to fail in style, mostly due to lack of “killer app” video games, which is a reality that Google must face. Other tech companies haven’t fared too well, either. Amazon has spent the past four years making big investments into gaming, spending many millions of dollars to woo top developers, build its own game engine, and buy companies like Twitch and Double Helix. Even with three full-fledged studios in operation, Amazon has yet to ship a major game, canceling the multiplayer sports brawler Breakaway last year. One thing is for certain: Google wants to make a splash. In January 2018, the company hired Phil Harrison, the veteran video game executive who spent long stints at Sony and Microsoft as a top manager on the PlayStation and Xbox. 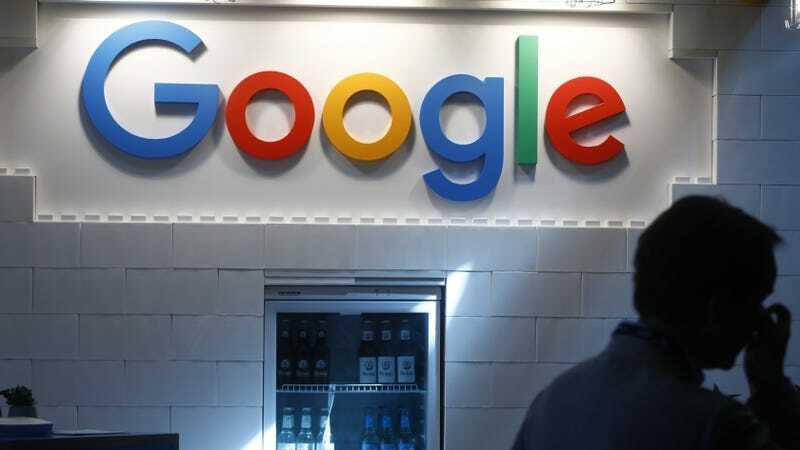 Google has also been on a massive hiring spree, bringing in experienced video game developers and marketers from EA, PlayStation, and many other top companies. The money is certainly there. Only time will tell if Yeti materializes in some form or simply goes the way of Google Glass.